Australia’s gas producers and the manufacturing sectors that rely on the local supply of gas must be working together for the national good, a Director from the Plastics & Chemicals Industries Association (PACIA) said on Wednesday. Speaking ahead of the Eastern Australia’s Energy Markets Outlook 2013 Conference in Sydney, PACIA’s Director of Strategy and Innovation Peter Bury said the gas producers should not see their LNG exports as coming at the expense of Australian manufacturers, and likewise manufacturers shouldn’t see themselves as viable only if gas producers didn’t export LNG. The policy on gas has not adjusted to the “tectonic changes” in the market said Bury and has caused sectors like the chemicals and plastics industries to suffer. “In the absence of an effective policy there is no marketing competition in the major gas basins, which affects price and supply. Without stable gas supplies at reasonable prices, Australia stands to lose major manufacturing infrastructure such as ammonia plants,” Mr. Bury said. The chemicals and plastics industries make up 11.5 percent of Australian manufacturing and supply 109 of the country’s 111 industries. The sectors employ 60,000 people directly and contribute $11.6 billion to Australia’s GDP. Mr. 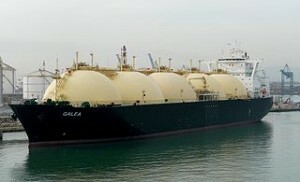 Bury said much of the focus has been placed on LNG exports and the value being delivered to the Australian economy by local gas users is being neglected. Chemicals and plastics not only use the gas for energy said the PACIA Director, but also as a ‘transformative’ agent which turns natural resource into fertilisers, polyethylene plastic and packaging. A Prime Minister’s Task Force assigned to the Manufacturing industry in 2012 reported that many large manufacturers faced what is known as the ‘gas cliff’, a situation in which it is near-impossible to secure gas supply agreements beyond 2016. This is despite the fact that Australia still has 184 years worth of accessible gas supply. Since the late 2000’s gas prices had risen by 70 percent and were predicted to escalate even more. The price per petajoule of gas has jumped from $3 to $8 in a few years and gas producers are hinting that it could possibly reach $12. “Clearly the current market mechanisms – especially around supply certainty and price – are not working well,” said Mr Bury.